Did you know that a recent UK survey by the Telegraph found that 13 per cent of cats had their own Facebook page and nine per cent of dogs had their own Twitter account? Two per cent of dogs even had their own blog! Here at Jetpets, we love checking out famous furry friends on social media. Who are your favourite cool cats and top dogs to follow online? Nicknamed by Khloe Kardashian ‘the cutest dog in the world’, Boo the Pomeranian is arguably the world’s most famous dog and has 16 million Facebook followers – wow! 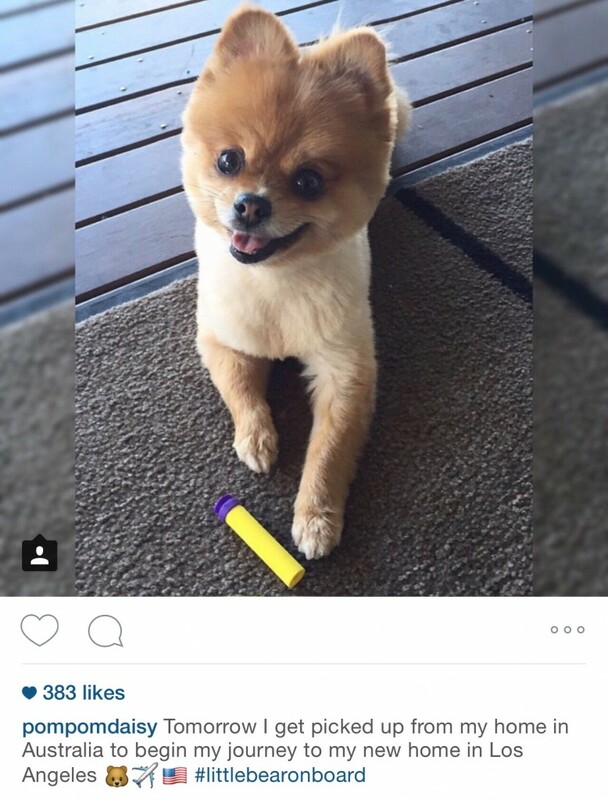 Boo chronicles his adorable daily adventures on social media, much to the delight of his millions of fans! Oh and who could forget Grumpy Cat, famous for her permanently unhappy facial expression, who has over 7 million Facebook followers. Grumpy Cat is so famous that in 2013, she graced the covers of the Wall Street Journal and New York Magazine, what a feat for a little cat from Arizona! We recently had our own brush with a famous furry friend here at Jetpets. 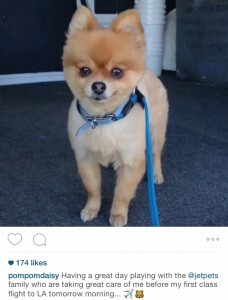 We were lucky enough to transport Daisy the Pomeranian, who has a very impressive 21 thousand Instagram followers! Isn’t she adorable? Of course, here at Jetpets every pet receives the VIP treatment, social media superstar or not!